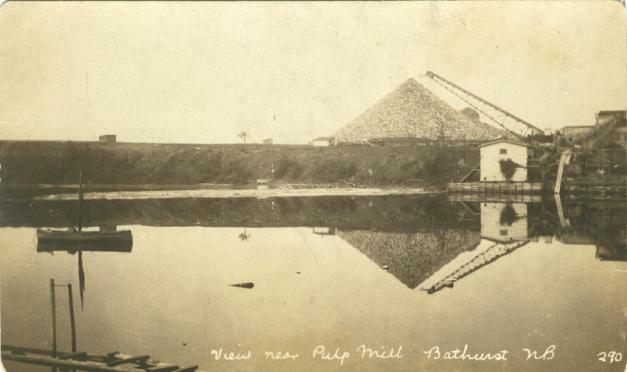 This is an early 20th century postcard titled “View near pulp mill, Bathurst, New Brunswick“. Of all the things we think of in relation to Canada – hockey, Mounties, and logging, I would never have thought of paper mills. But of COURSE there would be paper mills; they would benefit from the logging! I am regular coustmer for PULP. Could you please email me if you have NBCK Pulp 1000MT every month. I’m sorry I do not sell pulp. This site merely features historical images of the pulp and paper industry.